An experiment by ing-ing... a hack made in under 24 hours! 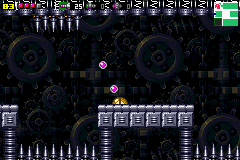 It uses midi arrangements for ZM instruments by Oneof99 and Super metroid tilesets modified for ZM by Nathantech, as well as spikes patch made by the great thunder himself, Biospark. A piece of thought, free from gravity, is floating through the dimension of triumph. 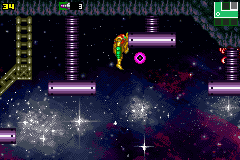 Chocked by mechanical ambition, its cries reach Samus. She knows what to do, to set the floating island free once again. Completion time is in minutes:seconds. Most hacks made within a day are borderline unplayable and feature an unchanged layout. Ing-Ing breaks this pattern with Stargazer. Ing-Ing tested his hacking ability, and ultimately proves himself as a hacker through this experiment. The hack is short (it was made in 24 hours after all), but features an entirely new layout, tilesets, music, and many ASM patches to boot. (even though you didn't credit me for mine :P ) The hack is surprisingly well suited for even novice Zero Mission players, which is rare for an Ing-Ing hack. Even still, his room design, puzzles, and enemy usage (reos and Imago are never neglected) still show that it was Ing behind all of this. If Ing-Ing made an entire hack with enjoyability of this caliber, it'll be a hit without a doubt. Now for the few cons. 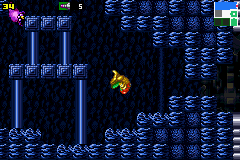 The hack does have various sound effect bugs that can be easily fixed, and has one particularly weird boss fight due to room design. I only noticed a few tiling errors (only one of which I actually noted on stream) but it was otherwise pretty solid in terms of quality. If I have to have one major complaint, finding the final boss was a bit silly and required some backtracking that the player may not want to do. Other than that though the design of the hack was good. One of the few good ZM hacks as of right now, and made in 24 hours to boot. I had a lot of fun when I played this. Exploration was fun but not frustrating, and has good sequence breaking iirc. Definitely recommended!